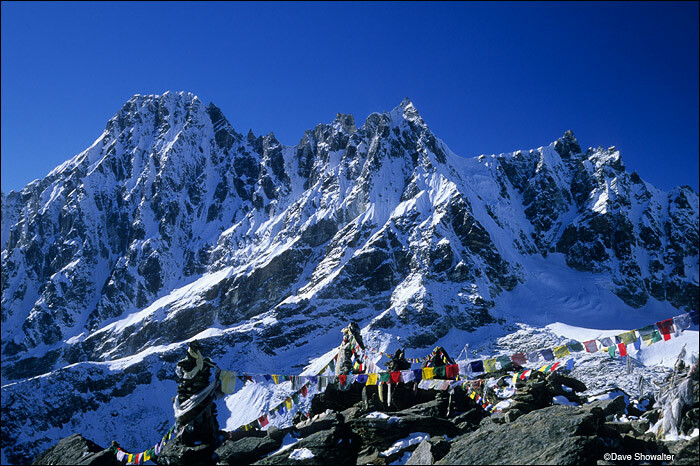 Buddhist prayer flags adorn the foreground on Gokyo Ri's summit (5357m,17,575') with a backdrop of Phari Lapche Peak. Phari Lapche (6,017m, 19,741') is a trekking peak in the Everest region, and although impressive, is a small mountain among Himalayan giants. Photo © copyright by Dave Showalter.